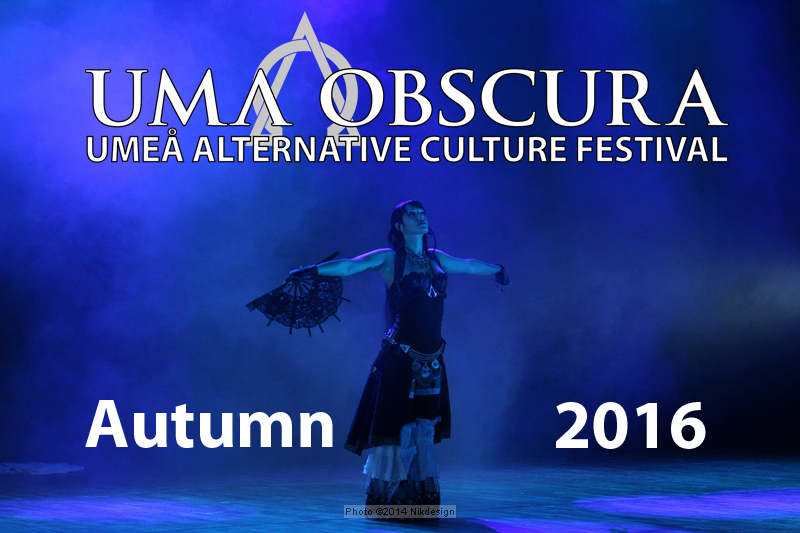 The next edition of the Uma Obscura festival will be held autumn 2016 in Umeå! This has just been announced, so more info will follow. The bookings are starting from now on, but please be patient since we need time to answer all incoming requests and to plan. The reason the festival will not be held 2015 is that we need to gather our strength and resources and we simply need some time to rest (we have been going on for 7 years in a row counting Sunset Park festival) since this festival is done on a non profit basis. Still, there may be a few interesting happenings in autumn 2015… keep your eyes out. And we can assure you: Uma Obscura 2016 will be a blast! Föregående inläggThank you for 2014Nästa inläggDates are set!